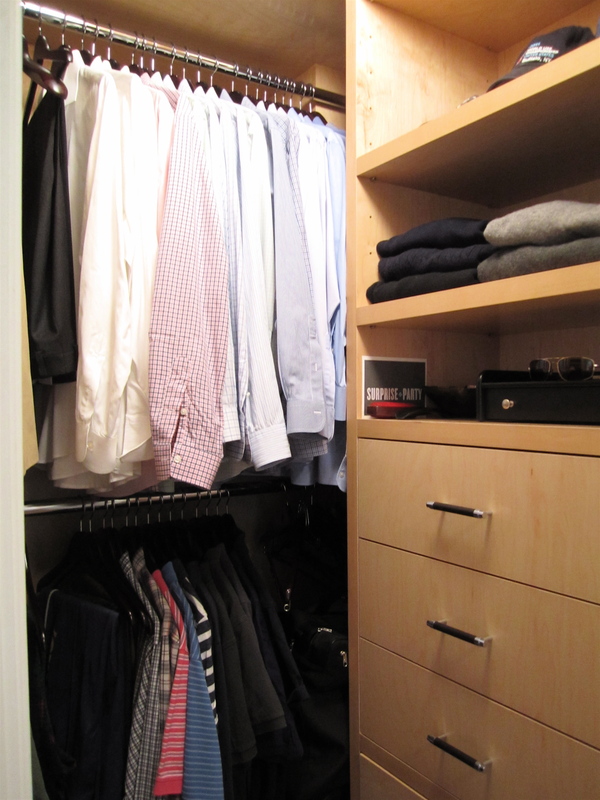 Before, this closet was a staging/storage with some of the husband’s clothes but mostly misc things. 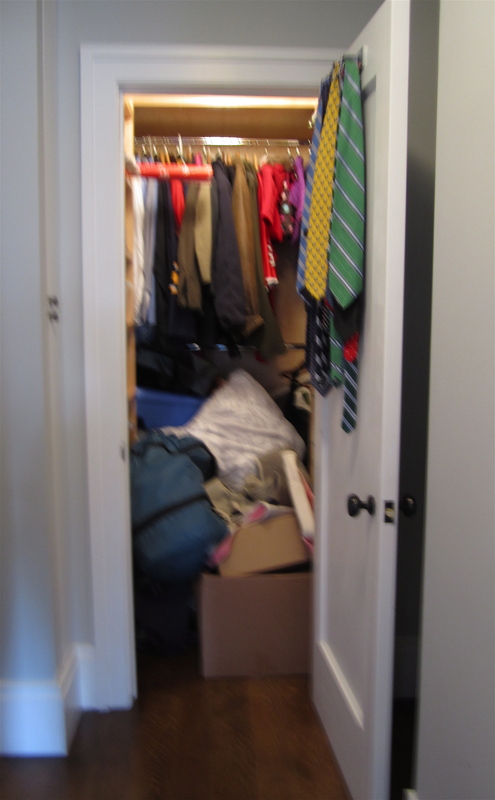 This husband and wife were sharing a larger walk-in closet, but I think it’s important each person have their own space for non-shared items like clothes. He’s quite tall so reaching the top rod and high shelves are no problem. The top rod holds work clothes and the lower for casual clothes. The wife’s closet is almost finished, she getting some new canvas storage boxes and a rug. I’ll show you pics when it’s all done… For more details on this project, check out my Flickr. 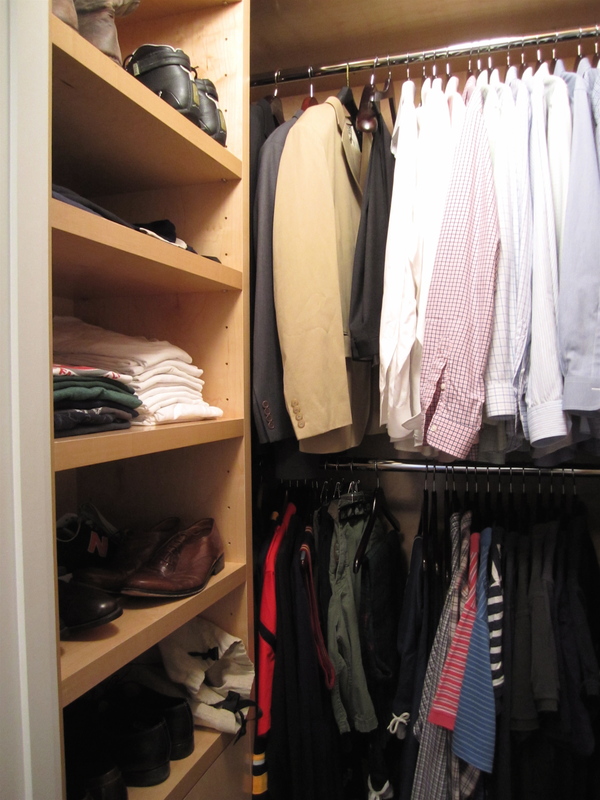 The closets look so organized! Those clients must be so grateful – I would be! i'm sorry i don't have those measurements. the client already had the system so i never took any. i'm guessing it's around 5' wide. Thanks anyway. 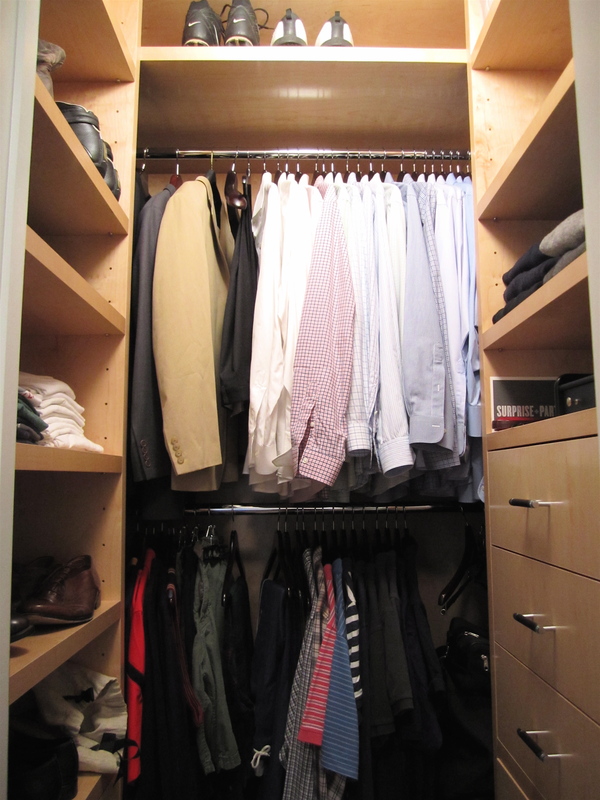 Mine is a bit awkward (4'5" wide, 3'10" deep and 6' height) because it used to be the closets (back to back) of two bedrooms. Now there is only one bedroom and the closet has two sliding doors opening to that bedroom.Mig.